The Standing Stone: Temple na Boe, St. Mullin's, Co. Carlow. 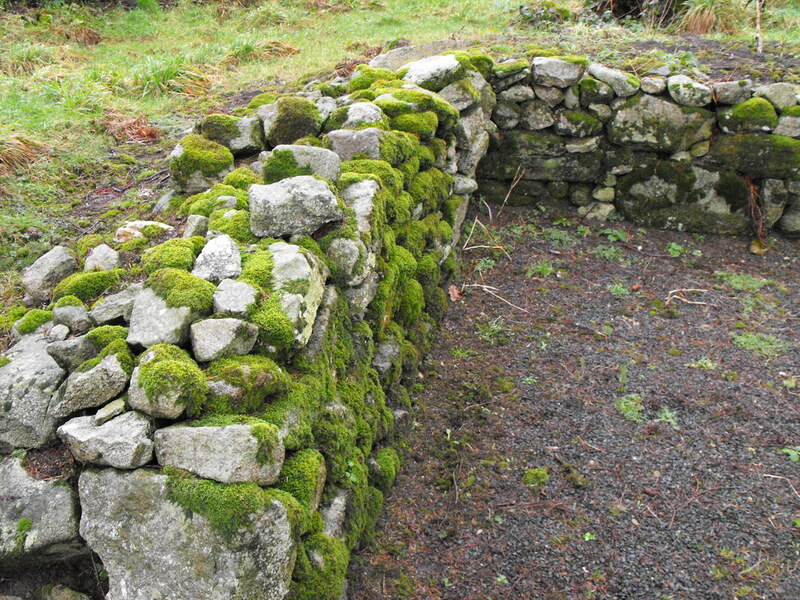 Temple na Boe, St. Mullin's, Co. Carlow. Location – On the way into St. Mullin’s a short distance from the main complex and it is signposted. 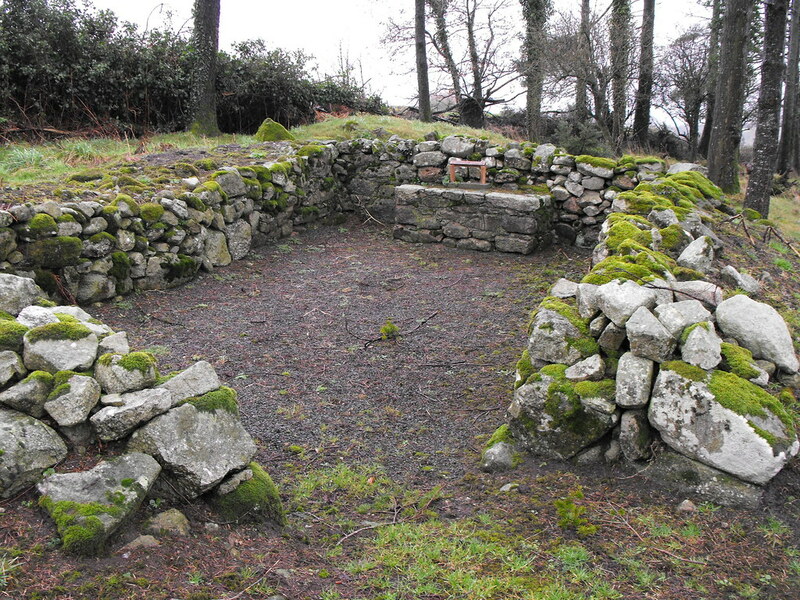 Description and History – The legend surrounding the building of this early medieval church is that it was built by St. Mullin in thanksgiving for the abolition of the Boromhu tribute which was a tax paid to the high kings of Ireland in the form of Cows. The church name in English means church of the cows. 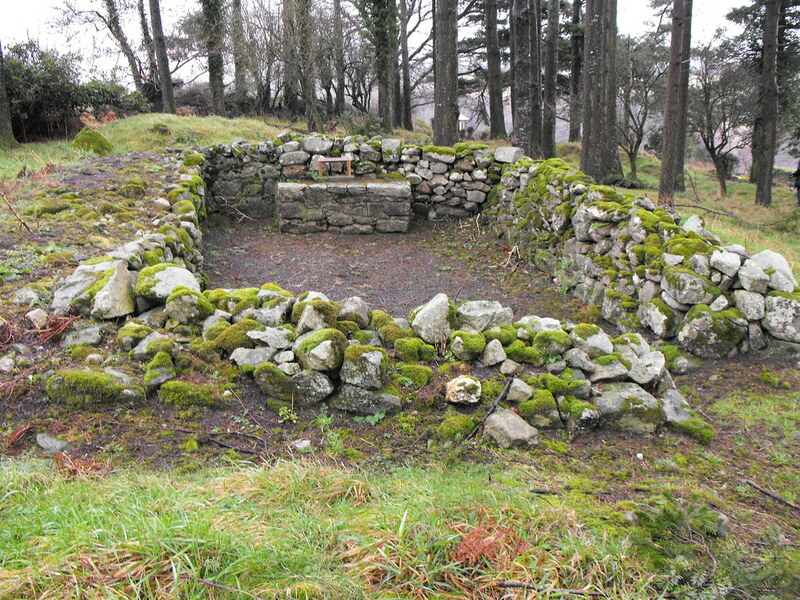 The area was also used as a burial ground for unbaptized children. Little remains of the structure apart from the outline measuring 6.5m x 3.3m. Difficulty – Parking is tricky and there are a few hidden grave-markers so watch your step. 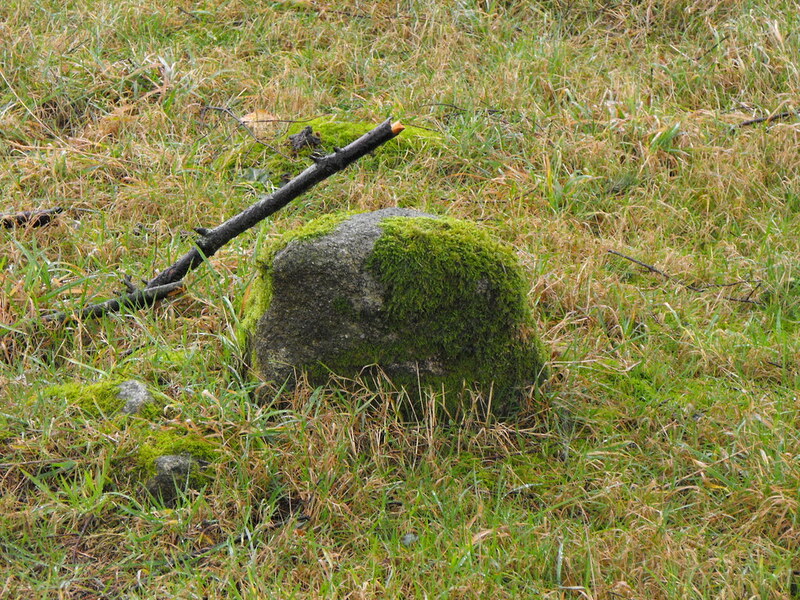 One of the many gravemarkers.